Silent Maid Central Vacuums is proud to offer our customers a complete line of central vacuums from which to choose. We will work closely with you to select the brand and model that best suits your needs and budget. Doc IT® eliminates the number one complaint about central vacuum systems…lugging around that bulky hose! 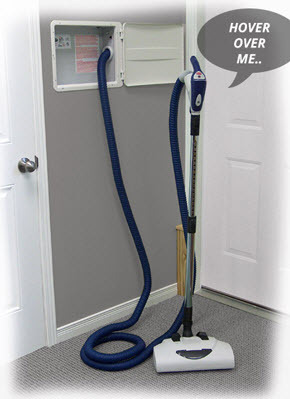 Doc IT ALL is an all in one hose management system and powerful vacuum equipped with an amazing 142″ of suction. This means no central vacuum installation is required. The AQUA-AIR insures indoor-air-quality issues. It picks up and sends all dirt, dust, contaminants, microbial allergens, hair, food, feces and debris through a 100% effective water misted cyclonic filtration. It captures larger debris in a replaceable debris screen, while sending dirt and bacteria directly down the drain. 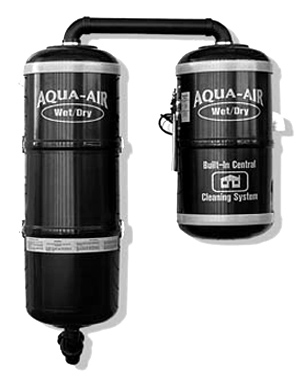 LEARN MORE The filtration chamber of the AQUA-AIR is vented to the outside of the home. Beam Central Vacuum System thoroughly cleans any floor surface and virtually anything above the floor. A Beam system is very effective at removing dirt and allergens because it has a larger, more powerful motor than an upright ? up to five times more powerful. Particles are completely removed from living areas and carried to a canister in the garage or basement for a cleaner home, and healthier lives. For over 50 years M&S Systems has been an industry leader in the manufacture and design of built-in, electronic home amenities. M&S Systems has recent received the 2004 Electronic House Product of the Year award for the XDM4600KIT and the DMC1. Both products were featured in the September issue of Electronic House Magazine and were recognized at the recent 2004 CEDIA Expo. For over 45 years , Cyclo Vac has been designing, manufacturing and marketing high quality central vacuums, which have revolutionized the industry. In March of 2006, Cyclo Vac once again raises the bar with the introduction of their latest innovation: the High Efficiency Collection. Eureka Central Vacuum Systems are built-in cleaning appliances that let you clean your home and improve indoor air quality at the same time. Central Vacs are quite powerful and give you a thorough whole-house clean. They also remove 100% of contacted dirt, dust mites, pollen, dander and other allergens vacuumed from living areas, making them ideal for relieving allergies. Hayden is a global leader in central vacuum systems. Featured products are the SuperVac? cyclonic system, SuperPack? cleaning tools, and a full range of fittings and valves including the revolutionary dual voltage SuperValve?. Hayden SuperVacs vent harmful allergens and dust mites out of the living area, creating clean indoor air, and eliminating the causes of respiratory illnesses such as asthma. Hayden is a custom injection molder, and an OEM supplier to built-in vacuum manufacturers. Hayden markets and sells products to vacuum distributors and vacuum dealers in over 20 countries. Honeywell is a diversified technology and manufacturing leader of aerospace products and services; control technologies for buildings, homes and industry; automotive products; power generation systems; specialty chemicals; fibers; plastics and advanced materials. The company's quality products, integrated system solutions, and services make life safer, more comfortable, more secure, and more productive in every corner of our world. A NuTone Central Vacuum System is one of America's ?most wanted? built-in appliances. Quiet, powerful and versatile, they offer convenience and value because they make cleaning every corner of your house unbelievably easy. Star Equipment & Supplies has been in business for over 45 years, specializing in the floor care market. In the fight to keep dirt, dust and allergenic particles out of your home, the PowerStar Central Vacuum System is the best weapon. 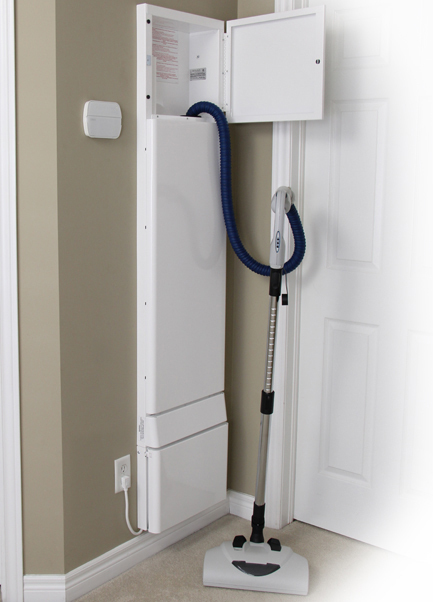 The PowerStar Central Vacuum System acts more like a cleaning system to your home rather than a typical vacuum. It improves total air quality, reduces noise disturbance caused by old fashion clunky vacuums, and rids you from strenuous physical effort to push, pull or lift 8 to 20 lbs. of machinery up and down stairs, or room to room.